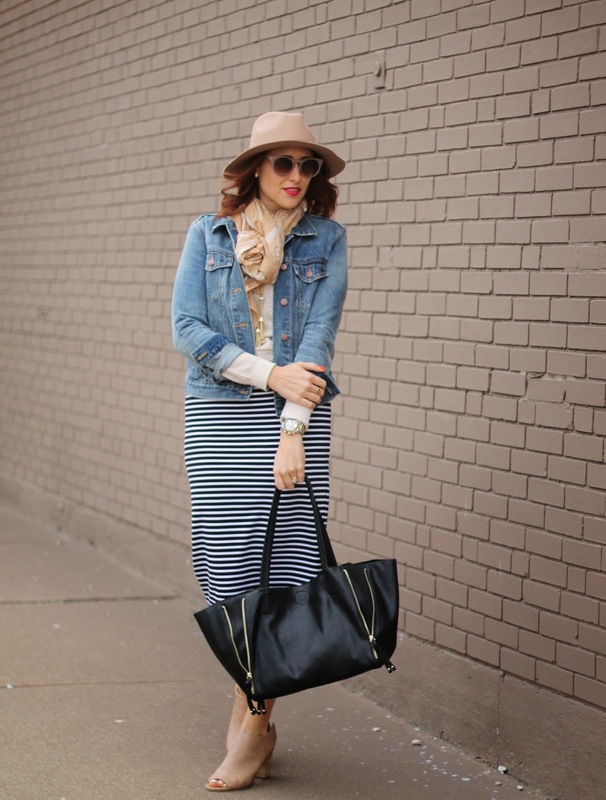 Target heels // Nordstrom Rack skirt and sweater // H&M scarf // eBay tassel necklace // Urban Outfitters fedora // NYX "Bloddy Mary" matte lipstick // Gap jean jacket. The best part of fall is that you can wear a million layers. When building an outfit, you can start with a simple skirt and then who knows where you will end. 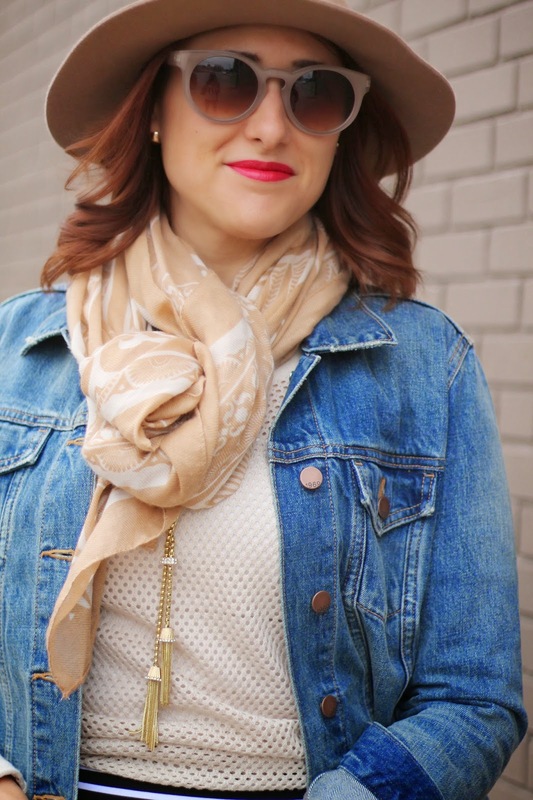 With an abundance of scarves, light jackets and hats to choose from, it is no doubt my favorite season to dress for. 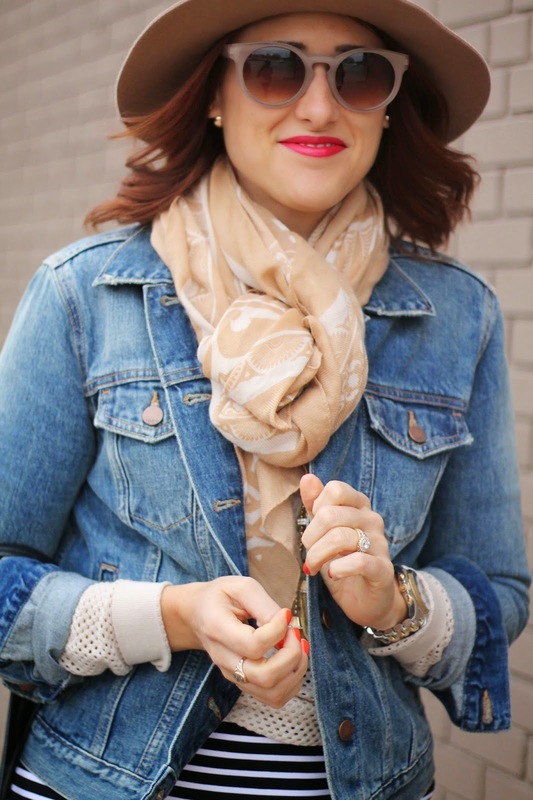 Speaking of layers, This Gap jacket is probably the most perfect color and fit of any jean jacket I've ever tried. I highly recommend it! My new neighborhood Nordstrom Rack in South Loop has been amazing with it's clearance section! I found this sweater for $12 bucks and my girlfriend even found a Milly dress for $140! Unheard of!. 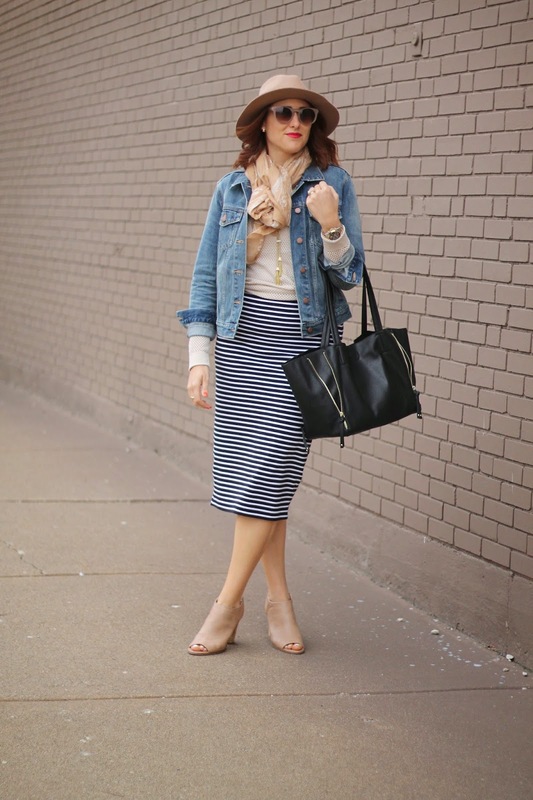 I also scored this slim midi skirt. It's length offsets the slim silhouette and makes it feel more appropriate for me to wear to school. 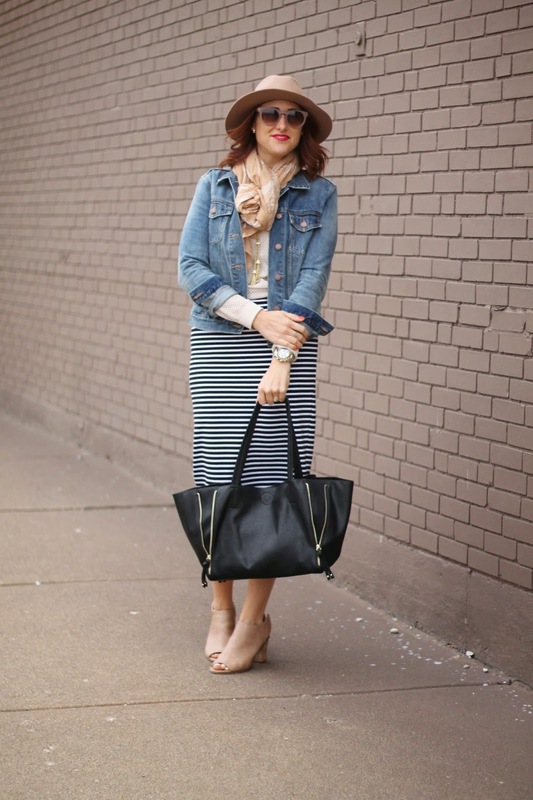 Love all your mixed neutrals, and how you are transitioning the striped skirt into fall.